DatabaseUSA.com® has the most comprehensive, 100% compiled Dentists mailing lists available today. 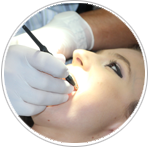 Our Dentists Mailing List file consists of General Dentists and Dentists by Specialty. These highly trained doctors are responsible for evaluating, maintaining or improving the oral health and hygiene of their patients. Dentists are ideal prospects for periodical and equipment offers related to dentistry. They are often decisive, mail responsive and high-end consumers. With our many dentist specialties to select from, we can help you create the best mailing list for your marketing needs. Contact DatabaseUSA.com® today to receive a dentists mailing list. Our professional staff is trained to help provide you with the most accurate mailing list possible. We can target your list by region, zip code or by city or state. DatabaseUSA.com® offers hundreds of selection criteria for the best mailing lists available. Find Dentists & other Professionals with our DatabaseUSA.com® Professionals Mailing Lists here.